The Q.U.I.L.T Guild of Paris, Tennessee: May: Birthday Party Month Yippee! May: Birthday Party Month Yippee! 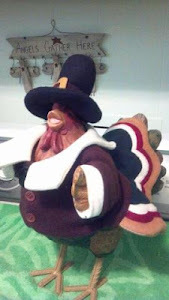 Here it is the first of June and I am just now getting started on the May blog post, I hope my fellow quilters can forgive me. I have no good excuse why I have not gotten to it sooner so I won't even try to explain. We had a good time at our last meeting because it is the month that we Paris, TN Quilt Guild members get together and have a big birthday bash. We exchange fabric gifts and have lots of good food. It is always interesting to do the fabric exchange because you never know how your quilting sister will interpret your fabric choice. This is what I mean. Every year we write down what type of fabric we want then we randomly pull one of the names to see who we are going to buy fabric for. Some of us get words like "any" or "blues", "greens", "reds", "surprise me". 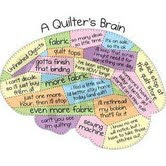 And with those words we have to decide what fabric to get based on how well know our quilting sister and what kinds of fabric you see her making most of her quilts out of. I personally like the ones that say "surprise me" because I like being surprised by the person that picks my name. I also like pondering for the 4 months on what to buy for that person because I really want them to be surprised. I have to say that as much fabric as we all have in our stashes already, it is always so exciting to get the birthday fabric. I always get something that I don't have or have not seen before and that makes me happy. I hope that you enjoy the following pictures from our last meeting.